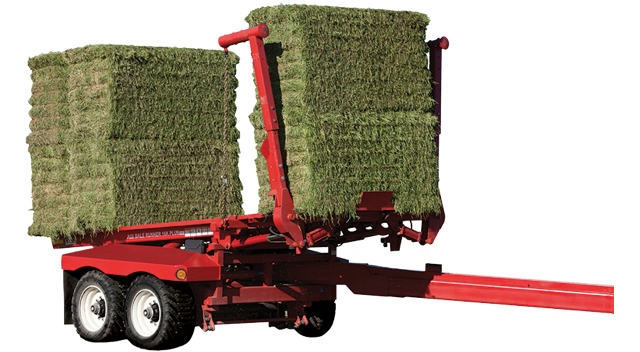 Designed for either round or large square bales, producers choose the proven reliability of ProAG bale carriers. ProAG – Engineered by Morris, transforms the way bales are picked and stacked. What equipment support does the company provide? Morris offers emergency troubleshooting to our technical support specialists during seeding season. Visit our Morris 360 Service page to get the latest changes for the 2017 season. How do I troubleshoot my ProAG equipment? Find Your Solution Online and Do it Yourself. Visit our FAQ Section and Service Training Section to quickly find the solution to your trouble shooting problem. Call Our Morris 360 Hotline at 877-360-4360. Emergency hotline is available April 1 to June 15 from 7am – 11pm. With one call, you’ll be connected to a real person with technical expertise to help solve your problem. How do I find operator's and parts manuals for my ProAG equipment? Morris offers manuals on our equipment. Visit our Product Downloads to find the manual you’re looking for. How do I find product training modules for ProAG? Morris has a complete line of training information. Visit our Training Documents section to view our extensive training library. How do I go about requesting sponsorship from the company? Morris focuses sponsorship towards agriculture, health and community development. Visit our Sponsorship page to apply online. Morris is growing and hiring for a number of positions. Visit our Careers section to find what jobs are available. Where can I find a ProAG dealer? Morris has dealers located in Canada, USA, Australia, Russia, and many other countries. Visit our Dealer page to find the closest location to you. What is the company vision, mission and core values? Since 1929, our heritage and culture has been the foundation of the Morris brand and our strategies to drive future growth. Visit our Culture page for more information. Who are the members of the Morris leadership team? Our leadership team is dedicated to authentic values, outstanding technology and customer service. Visit our Leadership page to find out more.